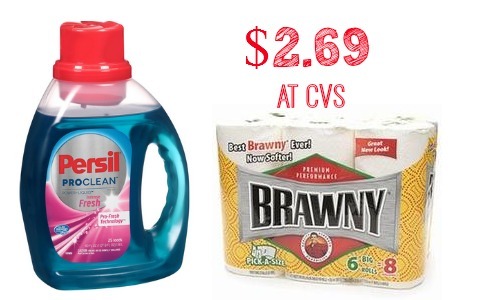 Here is a deal to help you save on detergent and paper towels at CVS. Grab these items for $2.69 after coupons and an ECB deal. –like getting it for $10.76 or $2.69 ea.